She will replace Katie Spring as the top communications official at the financial institution. Julie Andreeff Jensen. (Image courtesy of Citadel). 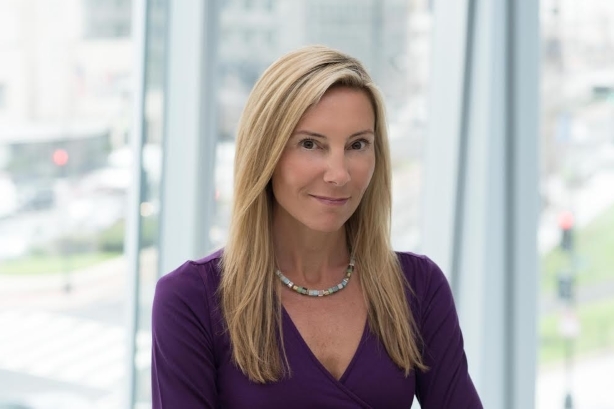 CHICAGO: Citadel has hired Brunswick Group’s Julie Andreeff Jensen as chief corporate affairs and comms officer. Based in Chicago, Jensen will oversee all corporate affairs and communications efforts at the financial services company when her tenure begins on December 5, a spokesperson said. Her responsibilities will include media relations, internal communications, leadership comms, thought leadership, reputation management, and philanthropy. She will report to COO Gerald Beeson. Jensen said in an emailed statement that she was "thrilled" to be joining Citadel. "[CEO] Ken Griffin and his talented team have built a unique company that is not only producing for investors, but also making markets more efficient and more fair for all participants," she said. The company is planning to review its communications division and develop a strategy for the future, and Jensen will build the comms unit, a spokesperson said. Jensen has been a partner at Brunswick since February 2009, advising clients on crises, reputation management, regulatory issues, mergers and acquisitions, and other issues. Her tenure at the firm is ending this week, according to a spokesperson. "We wish her the very best and know she will bring her A game to Citadel," said Steve Lipin, U.S. senior partner at Brunswick, in a statement. "The only question is whether she drops the Nationals for the Cubs." Lipin also said that Jensen has "set a high bar for client service and a commitment to her colleagues, and her experience in both communications and public affairs makes her uniquely qualified." Jensen was part of the firm’s global leadership, serving as Brunswick’s global head of marketing. She worked with clients such as Microsoft, GE, Pfizer, Cisco, and PepsiCo. Jensen also helped to build and lead the agency’s Washington, D.C., office. Her predecessor, Katie Spring, served as MD and global head of corporate communications before stepping down from her position in August. Spring is restoring a historic farm in Wisconsin and may return to PR in a future career opportunity. Citadel engaged Seema Kathuria of Russell Reynolds, a management consulting firm, to replace Spring. Prior to joining Brunswick, Jensen worked on several Democratic campaigns, including President Barack Obama’s 2008 campaign as the get-out-the-vote director in Pennsylvania. She also worked on the presidential campaigns of former Sen. Chris Dodd (D-CT) and then-Sen. John Kerry (D-MA).